Newsworthy posts featured on the home page. The ELA Spring Assessment window opened on February 15 and ends on May 14, and we encourage programs to utilize the KReady system for data collection. All teacher data should be entered into the KReady system no later than June 3. The last day for data managers to pull Learning Progression (LP) score reports from the KReady system is June 28. Data for children funded by preschool special education (PSE) must be entered into EMIS by August 9th, 2019. Data for early childhood education (ECE) grant funded children must be entered into EAS by June 30th, 2019. Our partners at Ohio’s K-12 Help Desk will host a question and answer panel discussion for data managers to address questions regarding the Early Learning Assessment (ELA). During this 60-minute session, participants will receive answers to questions submitted to the team via chat and live during this session. The ELA Data Manager Q + A Panel Webinar will take place at 10:00 AM on April 17, 2019. Click here to register for this session. Data managers are encouraged to respond to a brief survey to select topics for the panel discussion session. Click here to take the survey. The ELA Fall Reporting window has been extended until March 29, 2019 for all programs who report their data into EMIS. The ELA Spring Assessment window opens on February 15 and ends on May 14 and we encourage programs to utilize the KReady system for data collection. All teacher data must be entered into the KReady system no later than June 3. For additional information, please refer to our Early Learning news and updates. If you have any questions or concerns, please feel free to contact us. Thank you! The Fall ELA collection (2019AGBFL) has been extended. It will now close on March 29, 2019. The Office for Early Learning and School Readiness at the Ohio Department of Education invites early childhood professionals to participate in one of the upcoming Early Learning Assessment Focus Group sessions. The Department will host six separate sessions via a virtual meeting space, with sessions scheduled for March 20-22 and April 2. Those interested in offering experiences and opinions about the Early Learning Assessment should register for one of the above dates by March 15. For questions, please contact ELAHelp@education.ohio.gov at the Office of Early Learning and School Readiness. 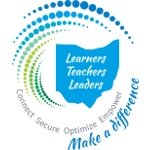 Our partners at Ohio K12 Help have scheduled the following webinars to assist with the spring assessment window. Visit this link (https://www.ohio-k12.help/kready_dmt/), select a date and click REGISTER to attend a session. Starting Monday, Feb. 4 through Wednesday, Feb. 13, superintendents of traditional districts and community schools that educate kindergarten students can review the Kindergarten Readiness Assessment (KRA) data that were reported in EMIS during the 2019 school year. A superintendent who finds inaccurate data should submit an appeal by the February 13 deadline using the 2019 Kindergarten Readiness Assessment Data Appeal. This is available in the Forms application in SAFE. The superintendent, EMIS coordinator, and superintendent designee all have access to fill out the data appeal form. The Department will consider the submission official when the superintendent or designee approves the form and completes the process. For answers to questions regarding the data review or data appeals, contact the Office of Data Quality.